ALL officers told to remain home while NUS investigates, for "safety"
Turmoil within the NUS has continued throughout the week as more insiders come forward to accuse president Shakira Martin of "bullying" and creating a "toxic" environment. In fresh allegations made by NUS staff and officers, many currently still working for the organisation, to the Huffington Post, Martin is accused of making threats to members of staff, screaming at them and, in one incident, making a gun sign and pointing it at colleagues. 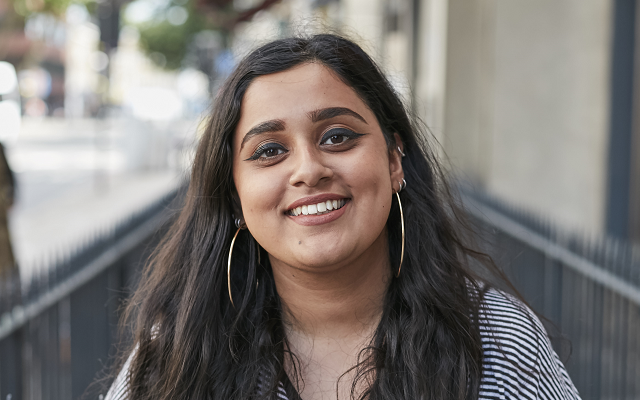 According to Women's officer Hareem Gahni, officers have to "pair up" as they are afraid to go into the NUS offices alone. 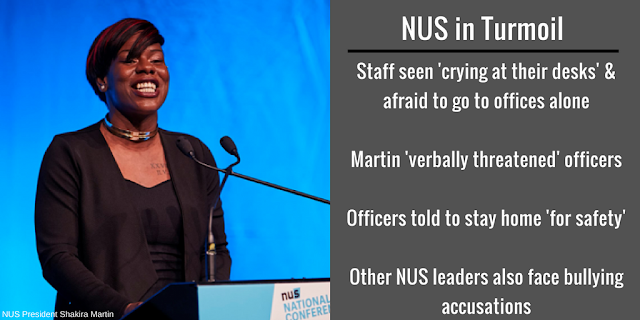 The NUS placed President Shakira Martin under investigation after a number of top officers accused her of harassing and abusing staff members. Fresh allegations are the latest in a long-line of controversies surrounding the current President, who has had her fair share of online spats even before being elected to the top position. Other NUS officers have condemned Martin, including NEC member Amelia Horgan who wrote on Twitter that her comments were "messed up" and "unacceptable". Martin hit back in a Facebook post yesterday, saying "the haters will not win". She wrote "I don’t feel comfortable nor safe however the desire to be your National President hasn’t died. Yes, I wanted to quit, yes I wanted to give up – but I realised that I must stay and finish the task at hand". On top of these criticisms, Varsity reports that LGBT+ officer Noorulann Shahid said that the NUS was "toxic" and "unsafe" with Martin as President. These views have been echoed by several other NEC members, staff and elected officers. Martin was elected last year, beating incumbent President Malia Bouattia with a large majority of 103 votes. Bouattia had faced her own controversy over claims of antisemitism - which an NUS investigation found her guilty of.